UPDATE: It seems that sc_selcharacter.pac not only has a filesize limit, but it might also have a limit to how many files can be stored within it regardless of their total space count. If you're getting crashing when you try to load the CSS, try deleting as many stock icons that aren't used by your pack is you need to in order to press below this limit. I have about 15 characters or so in my pack right now and it works fine, but for those with many more you may run into issues if you don't clear out extra icons. I believe the total count of icons in the file should now be equal to the max used by BrawlEx (before it was slightly higher incase more slots were opened) , but I could be wrong. Message me if I messed up on my math and need to add / take away some. 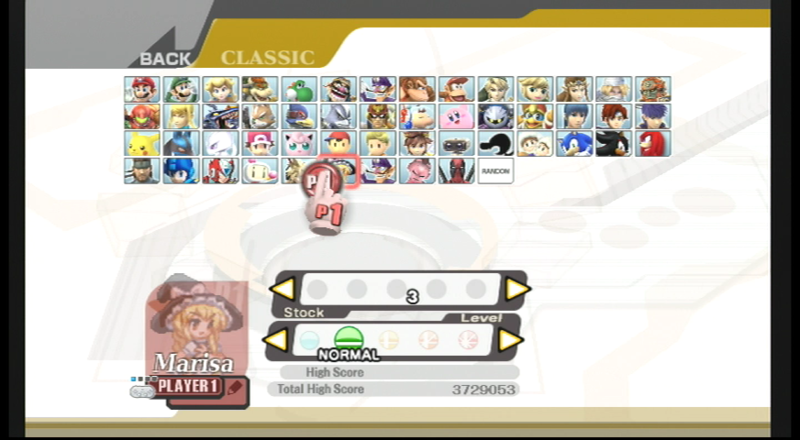 This adds in empty stock icons for all of the BrawlEx characters and CBliss alternate costumes to prevent the game from crashing when trying to play in various single player modes. Just replace the MiscData archive in your sc_selcharacter.pac file with the enclosed one to put them in. Take note that all of the original icons will be restored to their default state.